Place a sauté pan over high heat. 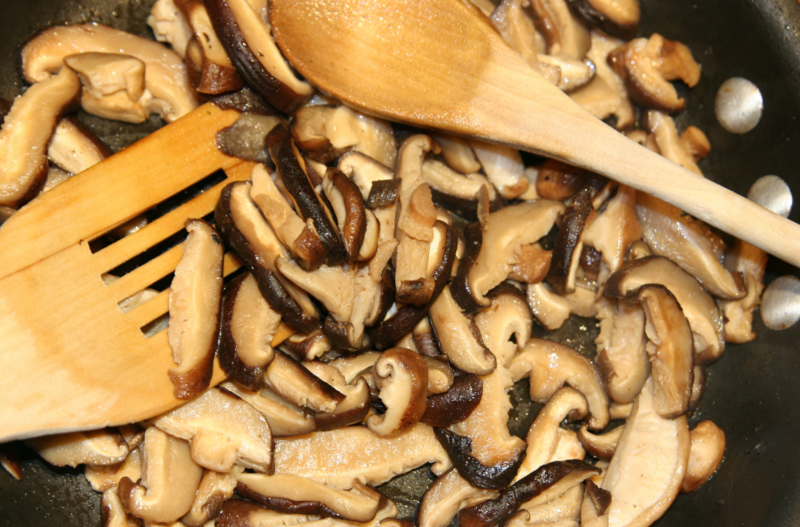 Once hot, add NHF extra virgin olive oil and the mushrooms. Season with a pinch of NHF kosher salt and NHF course ground black pepper sauté for 2-3 minutes. Add the sliced garlic and rosemary; reduce the heat to medium and sauté for 2-3 more minutes. Add NHF white wine vinegar, cover the pan and continue cooking, for 3-4 minutes over medium low heat. Remove from the heat, uncover the pan and place in a warm spot until ready to serve.